In the often complex world of Emerald Coast real estate practices, information is the key to effective decision making. If you are looking for a Destin Realtor that is friendly, down to earth, and possesses the skills and professionalism to help buy or sell your home, then contact us today. We are dedicated to providing the finest service available while breaking new ground. Our unique market knowledge of the local real estate market can save you countless hours and frustrations and possibly thousands of dollars. Whether you are looking for a second home, a vacation get-away, or a waterfront investment, we can help you find that dream property. 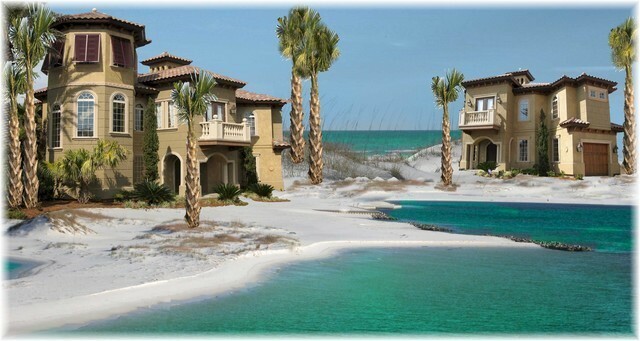 We specialize in waterfront and luxury homes, condos, and lots for sale in Destin, Rosemary Beach, Fort Walton Beach, Seaside, Santa Rosa Beach and the surrounding areas. Our clientele includes physicians, surgeons, doctors, business owners, lawyers, and professionals from all walks of life. We research dozens of properties each month so that we are prepared to present the best homes and condos for sale in FL to you. There is no substitute for market knowledge and we know that. Whether you are looking for a waterfront condo, home, or lot, we are the realtors for you! We specialize in representing our clients in the purchases and sales of homes and condos for investment or personal use within the cities of Destin, Fort Walton Beach, Navarre, Niceville, 30-A, Sandestin, Santa Rosa Beach, Seaside, Grayton Beach, and Rosemary Beach. We keep current of all real estate transactions in these areas. If you’re planning to sell your Destin, Seaside, Fort Walton Beach, or Rosemary Beach, FL condo or home in the next few months, simply choose Market Analysis and fill out the requested information. I will compare your FL home, lot, or condo to other homes and condos for sale in the local area to determine an optimum selling price for your real estate. We are constantly searching for the best Destin, Fort Walton Beach, Seaside, and Rosemary Beach homes and condos for sale. Early each morning, I will search the local MLS and find the homes or condos for sale that match your criteria and notify you immediately with the latest listing information!! Simply choose Dream Home Finder and fill in the requested information. The condominiums and houses listed in the Guide are for reference only. We are not soliciting to rent or sell any of the condominiums or homes listed in the Guide.